Obtained equal custody and equal parenting time of an infant son for a local Father who originally had court ordered parenting time limiting him to a few hours on Saturdays with no overnights. Obtained full custody for a local male teacher of his infant son after a five-day custody trial. Obtained full custody for a local man whose wife was a stay at home mom. After a lengthy trial, the Father paid no alimony, received the marital home and was able to retain a large sum of money he was awarded in connection with a personal injury without any of it being given to his spouse. Obtained a six-figure business valuation for a small local business that was equally divided between the parties which greatly increased the award to the wife on final judgment. Obtained the return of a child for a local Mother who was improperly advised to abandon her baby in a blatant abuse of the Safe Baby Voluntary Rescue Law. This case received local press including a spot on the local television evening news. Obtained a non-modifiable seven-figure alimony award for a local spouse. Successfully protected client’s separate property interest in a family business and permanently settled spousal support claims for a one-time lump sum payout. Obtained hybrid alimony-cash payment six-figure compensation for local man in a divorce where wife obtained lucrative medical degree during marriage. Obtained orders for the return of children wrongly removed from the State of Michigan to Florida, Illinois, Alabama, California, Iowa and other states. "David has been a great asset in my divorce. He and his staff have been extremely patient and informative with me throughout the process. David has gone out of his way to make himself available to answer any and all of my questions, to break down any concerns I may have while giving me direct feedback based on the law and facts. Tiffany and Julie waste no time in their work and always execute. Believe me, this is the attorney that you want not the one you want to be going up against." "Dave Dart represented me with candor, expertise, and efficiency in a legal matter that resolved in my favor. I highly recommend him and his associates, he's indeed a good lawyer." 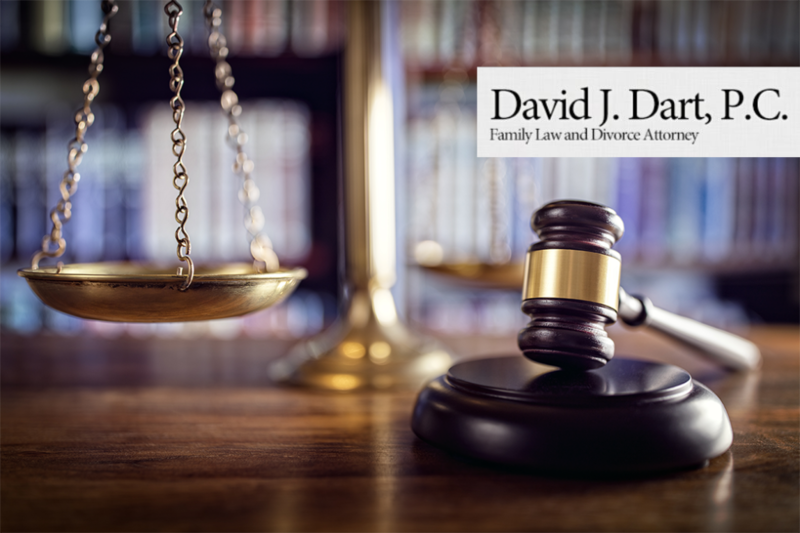 Our family has used David on numerous occasions and we have been very happy with the outcome of our cases. While I don't want to mention the legal issues we have faced, I can 100% recommend David if you need help with family law. Call David Dart now for a free phone consultation!